On Easter Sunday, Todd English’s Tuscany will feature a special meal guests can indulge in for $36.00 per person. The meal features a braised lamb shank, spring pea risotto, heirloom tomato and arugula salad. Michael Jordan’s 23.sportcafe will feature an Easter Sunday meal including a Hosmer Mountain cherry glazed ham, scalloped potatoes and honey carrots for $23.00 per person. Michael Jordan’s Steak House will be running a special meal also on April 21st for $38.00 per person – savor over Colorado twin lamb porterhouse, Israeli couscous and tarragon pesto. Hash House A Go Go is adding three special items to their menu on April 21st. Guests can enjoy a cinnamon roll pancake topped with cream cheese frosting, a 10 oz. griddled ham steak served on top of garlic mashed potatoes and vegetables or finish their dining experience with caramel cheesecake. SolToro will offer birria – slow braised goat in consommé, onions, cilantro, limes, jalapeños, radish and cabbage for $18.00 per person all Easter day long. Relax, dine and enjoy live entertainment at The Lansdowne Irish Pub & Music House on Sunday, April 21st. Sunday music sessions with Steve Cleary begin at 1:00pm – playing original Rock, Jazz, Folk, Blues and more genres! As you listen to melodies, order the Easter dinner special for $16.00 per person – featuring a glazed honey ham served with mashed potatoes and roasted root vegetables. Head over to the Wolf Den on April 21st to see The Cartells perform live – bringing their transcending sound to the stage at 7:00pm. Guests can have fun and laugh at Comix Comedy Club with Jim Spinnato when he brings his performance to the stage on April 21st at 5:00pm – a performance combination of magic, illusion & comedy. Le Creuset is celebrating Easter from April 12th to May 12th, offering a free stoneware herb planter with any $150.00 purchase, while supplies last. Gift cards and taxes do not count toward the minimum purchase requirement. Offer available at lecreuset.com and in Le Creuset Signature Stores; not available in Le Creuset outlet stores. May not be combined with other offers. No adjustment to prior purchases. Or, visit Robert Graham on April 21st and receive a complimentary lux terry robe with any purchase of $400.00 or more. For more information on all Easter specials, please visit mohegansun.com. Owned by Mohegan Gaming & Entertainment, Mohegan Sun is one of the largest, most spectacular entertainment, gaming, dining and shopping destinations in the United States. 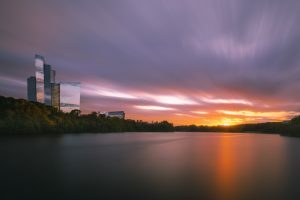 Situated on 185 acres along the Thames River in scenic southeastern Connecticut, Mohegan Sun is home to two unique casinos, 1,600 deluxe hotel rooms, 2 world-class spas, a golf course, over 90 shops, restaurants and bars as well as three award-winning entertainment venues including a 10,000-seat Arena. Mohegan Sun is within easy access of New York, Boston, Hartford and Providence and located 15 minutes from the museums, antique shops and waterfront of Mystic Country. More information is available by calling 1.888.226.7711 or visiting mohegansun.com. Connect with us on Facebook, follow us on Twitter and Instagram @mohegansun, view us on YouTube and find us on Snapchat at username MoheganSun.